Through his Wall Street Journal column and bestselling books, Jeffrey Zaslow told the stories of some of the most inspirational people of our time. 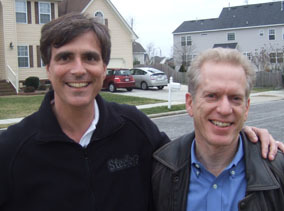 The Last Lecture, written with Randy Pausch, has been translated into 48 languages, and was #1 on best-seller lists worldwide. Five million copies have been sold in English alone, and the book has remained on The New York Times best-seller list for more than 112 weeks. In 2011, Jeff collaborated with Rep. Gabrielle Giffords and her husband, veteran astronaut Mark Kelly, on their memoir, GABBY: A Story of Courage and Hope. The book was launched with a cover story in People magazine, and an hour-long ABC TV special hosted by Diane Sawyer. 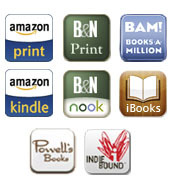 GABBY debuted near the top of the New York Times bestseller lists for both hardcovers and e-books. Jeff’s 2009 book about female friendship, The Girls From Ames, spent 26 weeks on The New York Times list, rising to #3. People magazine named it one of the “Ten Best Books of the Year.” Lifetime Television is adapting the book for a movie. Also in 2009, Jeff coauthored Highest Duty, the memoir of Capt. “Sully” Sullenberger, who famously landed US Airways Flight 1549 in the Hudson River. Highest Duty debuted at # 3 on The New York Times list. Jeff’s Wall Street Journal column focused on life transitions and often attracts wide media interest. That was certainly the case in September 2007, after he attended the final lecture of Carnegie Mellon Professor Randy Pausch. Jeff’s column about the talk sparked a worldwide phenomenon. Millions of people viewed footage of the lecture. Intense media coverage included The Oprah Winfrey Show and an ABC special. Jeff was drawn to the topics he wrote about because he created a beat unlike most others in journalism. While The Wall Street Journal covered the heart of the financial world, Jeff tended to the hearts of its readers. The National Society of Newspaper Columnists twice named him the best columnist in a newspaper with more than 100,000 circulation. 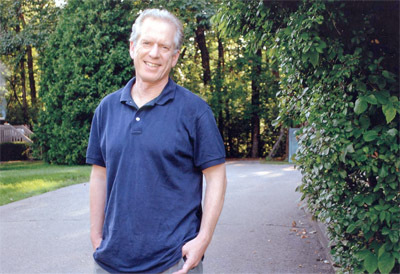 In 2008, he received the Distinguished Column Writing Award from the New York Newspaper Publishers Association. Jeff’s TV appearances have included The Tonight Show, Oprah, Larry King Live, 60 Minutes, The Today Show and Good Morning America. Jeff first worked at the Journal from 1983 to 1987, when he wrote about a competition to replace Ann Landers at the Chicago Sun-Times. He entered to get an angle for his story, and won the job over 12,000 applicants. He worked at the Sun-Times from 1987 to 2001, and was also a columnist for USA Weekend, the Sunday supplement in 510 newspapers. In 2000, Jeff received the Will Rogers Humanitarian Award for using his column to help 47,000 disadvantaged children. For 12 years, he hosted an annual singles party for charity, Zazz Bash, which drew 7,000 readers a year and resulted in 78 marriages. A Philadelphia native, Jeff was a graduate of Carnegie Mellon, where he majored in creative writing. His wife, Sherry Margolis, is a TV news anchor with Fox 2 in Detroit. They have three daughters: Jordan, Alex and Eden. 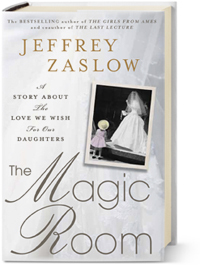 Jeffrey Zaslow died on February 10, 2012, at age 53.